Day two of hiking in the heat put day one of hiking in the heat to shame. There were two saving graces of the day, the first being that it was a freakishly flat day, until the end of the day when we had to climb up onto the Hat Creek Rim. The second saving grace was that part way through the day there was the option to walk into JJ’s Cafe in Old Station and escape the heat. By seven o’clock the heat was already the heat of an average summer day. By one o’clock, as we neared the highway that led into Old Station, it was so hot we were having to take shade breaks every hour or so. Even though it was flat and we should have been cruising our pace slowed from three miles an hour to two and a half to two. It had been forecasted to be 102 degrees that day. The pine straw all around us seemed to be reflecting the heat back at us and the nicely thinned pine trees only provided the occasional puddle of shade. Finally we drug ourselves the .4 to JJ’s and threw our packs down, eager to get inside. It wasn’t airconditioned in the restaurant, but there were fans and it was indoors and we did get ice water and iced tea, so it was in fact a million times better than outside. Lots of other thru hikers had the same idea, many of them were hanging out on the porch or finishing up sandwiches. We ordered our first round of sandwiches (I say first because it turned out to not be enough food for me and I ordered a second sandwich and a pancake) and stared at eachother, both drained by the heat. 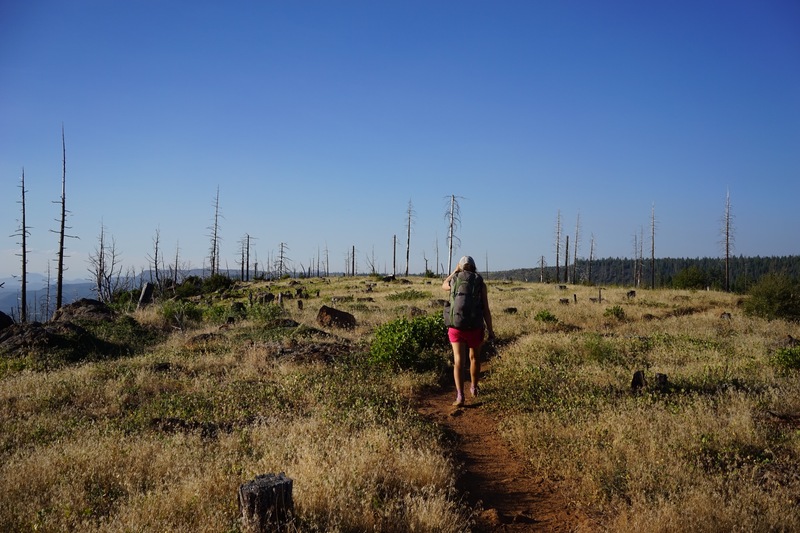 We had already done twenty miles at that point and our plan was to leave JJ’s at 6pm and do another eight miles up to a campsite on the Hat Creek Rim that was next to an off trail water source. I realize that I have’t really introduced the Hat Creek Rim yet. Basically, the Hat Creek Rim is a little section of desert plunked into Northern California, and we happened to be hitting it in a massive heat wave. Without the off trail Lost Creek water source and Cache 22 at forest service road 22 it is a 33 mile waterless section. There didn’t used to be a trail down to Lost Creek until very recently and it is still a .6 mile round trip detour with a lot of elevation loss. The cache, which was rumored to be well stocked, is still just a cache and you aren’t supposed to rely on it. Apart from being waterless the rim is exposed, with very little shade, it is at a low elevation, and multiple sources site it as one of the hottest parts of the trail. Needless to say we were really looking forward to it. So our plan to hike onto the rim at night was going to be followed by a very early morning wake up, with us attempting to get “off” the rim before twelve. Of course, we weren’t exactly sure what getting off the rim gained you, especially on a day that was forecasted to be 103 degrees, but that is what Yogi’s pages recommended so that is what we were going to do. But first we had to sit at JJ’s cafe for a couple of hours and think about how miserable we had just been and how miserable we were going to be. Kyle took that time to turn into an amateur weather forecaster, checking the ten day forecasts for all of the towns we were going to go through in the near future. He grimly informed me that even though the hundred degree heat was going to break in three or four days the temps never went below 90 degrees. For the next ten days, everywhere that we went was going to be hot, hot, hot. As any true masochist would do he also began checking the weather for other places. Adding insult to injury we discovered that the city of Mojave, located in the actual Mojave Desert, was actually cooler than where we currently were, at a balmy 95 degree. Then he made a move that changed everything, he checked the ten day forecast for Seattle. We both groaned with longing: 77 degrees and partly cloudy. The ten day forecast looked amazing, there was even a chance of rain. Jokingly, Kyle said, “We should just jump on a train to Seattle and start hiking south.” We both looked at eachother, shocked at how good the idea sounded, but also terrified because it was so… Wild. For us that is. Kyle and I were stringent purists on the AT. We didn’t slack pack (hike without anything in your pack but food and water while someone else shuttles your supplies up trail), we didn’t yellow blaze, we would never have considered flipping, we were determined to walk from South to North with everything we owned on our backs. This trail is certainly a different story (in some respects). We have already talked about having my parents slack pack us in Oregon so that we can crush some miles and finish in time. And now we were talking about flipping for a section. But I do want to clarify that we would NEVER skip trail. 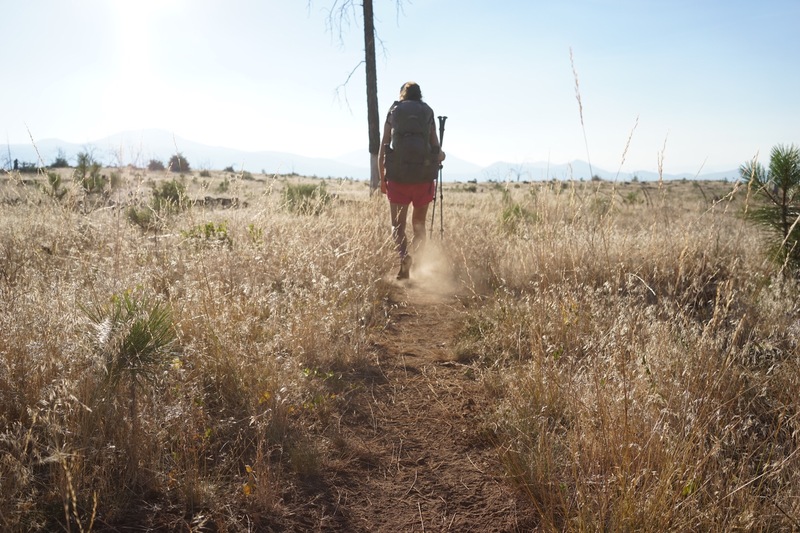 In fact, on the day we went into JJ’s we saw at least six or seven “thru hikers” hitch there from Old Station, which is located four miles south on HWY 89, and we were both furious, as we always are when people skip trail. We both still believe, that in order to be a thru hiker, to earn that title, you must end up with a continuous trail of steps, from the California/Mexico border, to the Washington/Canadian border. So we ruminated on the idea. We both thought we felt good about it in terms of our thru hike, that we wouldn’t regret not going continuously North for the whole hike. We both felt amazing about cooler weather and I am not going to lie, there was something exciting, tantalizing, tittalating, about the idea of catching a train and being in another place entirely a day later. We both knew that our mile average from this point out needed to stay high to finish in time and that the heat was our biggest barrier right now in making that happen. The idea of calling myself a SOBO (southbounder) for a bit intrigued me. The idea of leaving behind the hordes of people we were currently hiking in and potentially finding some more solitude was tempting. Maybe the never ending miles of California were getting us down, but this felt fresh. This felt like an adventure. I had reservations also. 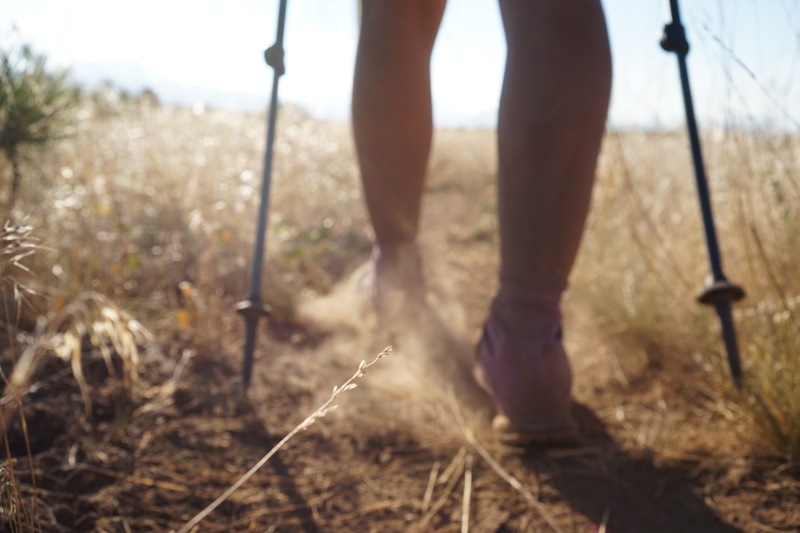 For me much of the trail is about testing boundaries and suffering and seeing how far we can push ourselves. It would be a new experience to actually find one of those lines and decide not to cross it. The heat was killer and causing us to be pretty miserable, Kyle even more so than myself, but we could probably persevere through it, right? It wouldn’t be enjoyable, for probably at least another ten days, but isn’t that what thru hiking is all about? Is it? I started to wonder, maybe we have the right to enjoy this hike, maybe if there is another way to do things, a way that would be better for us, we shouldn’t just suffer through, blindly, for sufferings sake. I felt torn. I could tell Kyle did not feel torn, he was already looking up Amtrak locations and times. Maybe I haven’t made it completely clear yet but Kyle hates the heat. He had been stressed about this heat wave for weeks leading up to it. I can tell it effects him in a way I can’t understand. The day before, when he got a migraine he had told me he wanted to go home. Multiple times on the way to JJ’s, although he was in a much better mood sans migraine, I looked over to see him, clearly miserable but trying so hard to power through. We called people to ask for their advice, was our idea too crazy? Everyone didn’t hesitate to say we should go for it, although I think my mom’s motivation was mostly a selfish desire to see us. Cameron, who no doubt vividly remembers the desert, said it seemed like an obvious option. Our friend Simon, who hiked the AT with us and saw Kyles migraines up close and personal practically cut me off before I finished explaining, saying it was a no brainier. And still we couldn’t quite believe that we were actually thinking of doing something so crazy out of the blue. 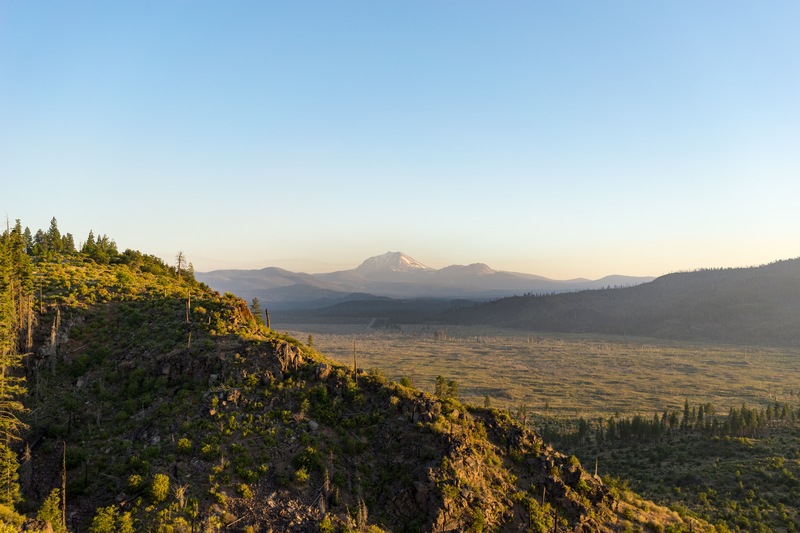 It was nearing six o’clock, almost time to head out onto the rim, and we weren’t sure what to do, so Kyle made a very pragmatic suggestion: let’s hike to Dunsmuir where there is an Amtrak station and decide there. It was another five days away, but we could probably handle anything for five days, right? So we hiked out into the heat, thinking hard about what the future of our thru hike should look like. We were AT NOBO purists ourselves and did a PCT leap frog and are so so glad we did! Currently in Snoqualmie, too bad we didn’t cross paths. Cheers and happy hiking! Too bad! Glad to know other people made similar decisions. Flipping i think is fairly common. I just ran into a couple that are right behind you on the trial. they were hiking to sierra City and then heading for washington to to flip themselves. If you see Thunderfoot on the trail tell them i said hi.